SCHEDULE ALERT! SCHEDULE ALERT! Please share this post. 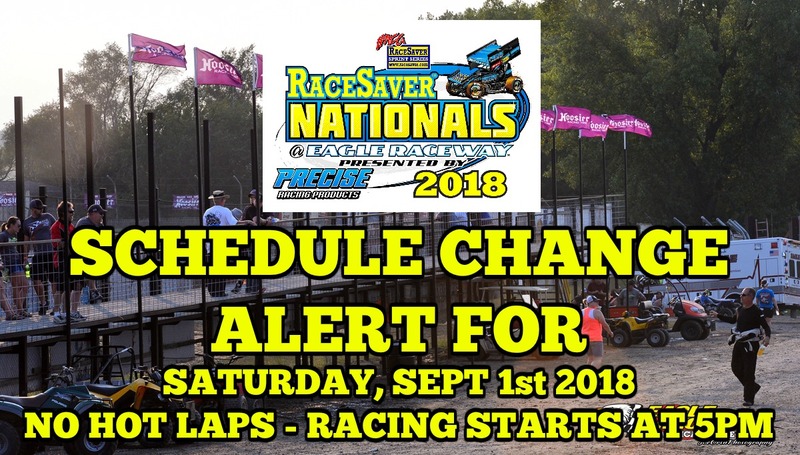 A slight change has been made in the schedule for today (Saturday, September 1st). There will be NO Hot Lap Sessions (Practice Laps). And Racing will start at 5PM. All other times will remain as scheduled.